With increasing rotor diameters, the wind loads on the rotor blades of wind turbines become inhomogeneous. This leads to additional mechanical excitation of the entire drive train. Such additional vibration results in increased vibration loads on the overall plant and is associated with reduced power efficiency and reduced facility availability. 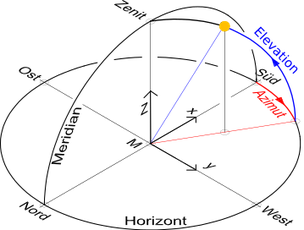 This can be counteracted with an azimuth calibration and a blade angle measurement. 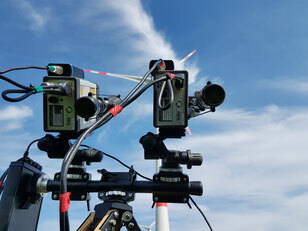 Verification of the azimuth adjustment is possible by surveying via Lidar or other specialized instruments such as "I Spin" by Römowind. The increasingly used Maximum Power Point Tracker (MPPT) can also be improved by the data input. Surveying via Romec double laser or photo method. The photo method is quick and easy to use. Aerodynamic imbalances have been widely used in the past. The error rate was 25% of the suspicion-independent tested asset portfolio. Savings due to less wear on the wind turbine and improved yield will pay for the test within a few months. Setting specifications are forwarded to the service.